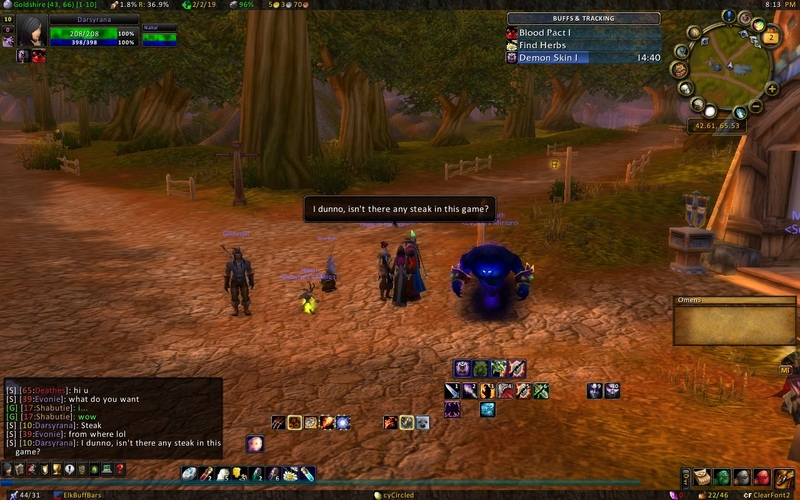 You might remember the interesting exchange that Sideshow had while on his female warrior. 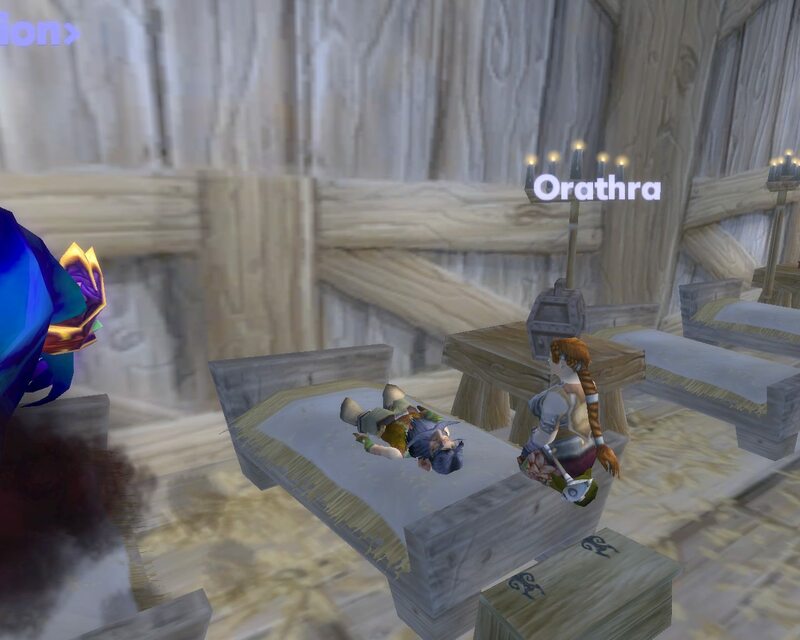 Well, later that evening or the next day, I had an interesting encounter myself… in Goldshire of all places. 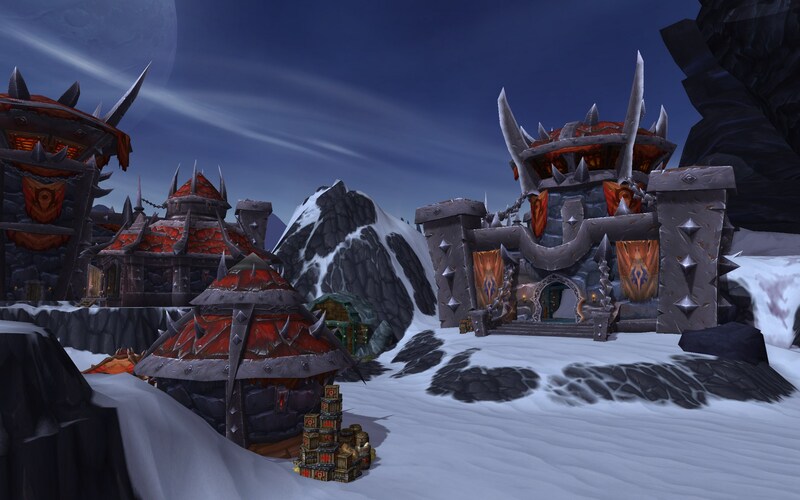 Now, remember, this is NOT an RP server. 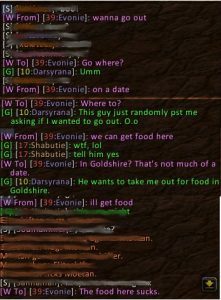 And for those of you not familiar with how RP encounters go in game, I assure you they do not start by some random person whispering to ask you out. 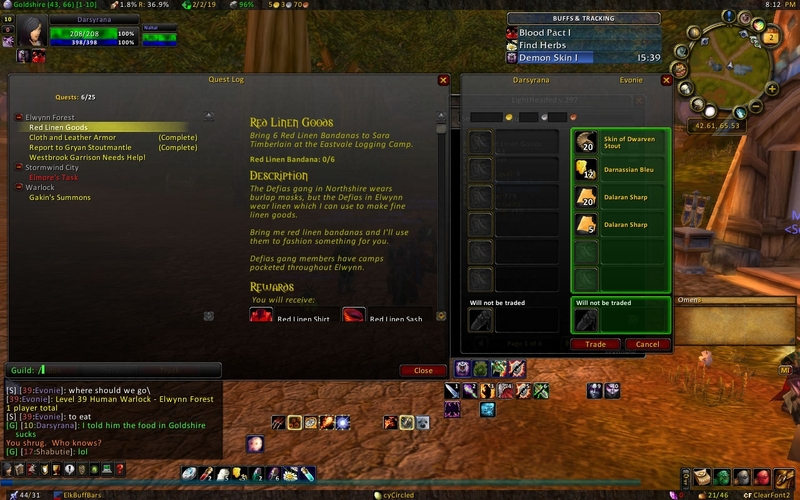 All I was doing was checking my mail and grabbing some quests. The screenie below is actually the end of it all, but I thought it might whet your appetite to discover how it got to that point. Enjoy! ….yes, he tried to feed me booze and cheese. The worst part? It wasn’t even good booze and cheese. 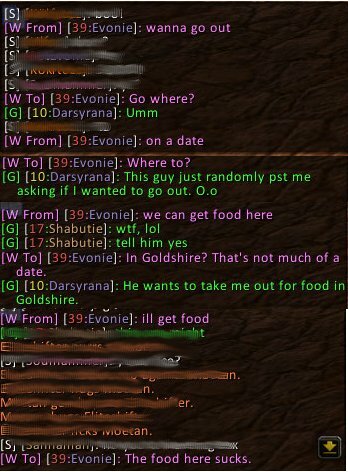 What had me laughing hard was that, when presented with random perv asking for a date, instead of just /ignoring or not responding at all, your first reply to “wanna go out” was “where to?” LULZ. Nicely done, and a great start to a Friday Morn. 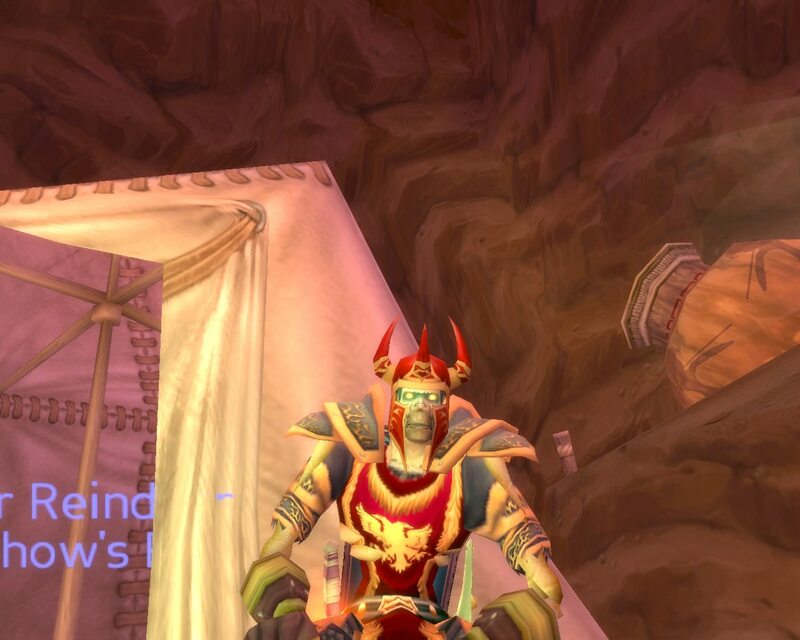 Now I’m jealous, my baby pally never gets asked out. Always the bridesmaid never the bride. XD How come nothing that funny ever happens to me?! You mean booze and cheese is NOT the way to a girl’s heart?! I’m glad this entertained everyone 🙂 As many of you probably have noticed, I have a hard time ignoring odd and random whispers because I find it incredibly fun to see how they will respond to me. And then screenshot it to share with all of you! But, yeah, if it was more expensive booze and cheese, maybe I wouldn’t have insisted on steak.